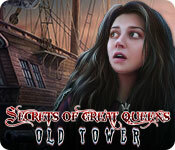 Secrets of Great Queens: Old Tower is rated 4.1 out of 5 by 22. Rated 5 out of 5 by LikeAGoodStory from Never Liked Henry VIII But Love This Game It doesn't appear the developer pursued this series, which is regrettable because it's a great game with many a twist. The storyline is a familiar one but again, Vendel Games turns it (and history) into something different. Story line is important to me, and this game delivers! As well, cutscenes, music, and sound effects, including voiceovers, are all excellent but the graphics are truly beautiful and so detailed. This is my first game by this developer but already, I am downloading others. The HOPS and mini games are the way I like them, a bit challenging but not distracting. Both HOPS and games are well placed within the plot. As always, try the demo first. Enjoy the play! Rated 5 out of 5 by Majestyx12 from Fun relaxed game from Vendal I liked this game from start to finish. It came out Dec 2016. It has 6 chapters. I counted 15 hops which include mini-hops. I play as Lady Jane Bennett and I have a helper, Captain Louis who does all the lifting and manual labor for me. He is funny and full of himself. I was asked by Queen Elizabeth to stop the rumor that my mom Anne Boleyn is a witch. The rumor was started by King Henry because he's tired of this wife. The adventure begins. Some of the puzzles I liked were the one were you move things in the right place or color. Matching. Throwing a ax at what's pictured on sacks. Rated 5 out of 5 by Blackrock from Great Game I'm not going to write a book for my review, just want to say that this is one of the better hidden object games out there. Interesting story line that holds your interest and you don't get lost in. A game that doesn't make you run back and forth a lot. 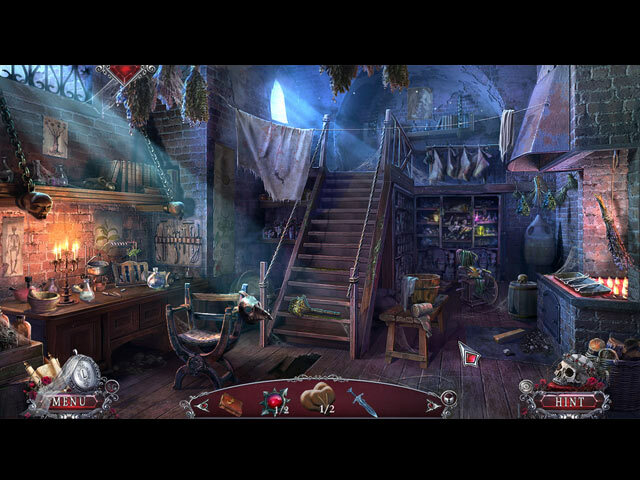 Hidden object scenes and the mini games are fun to do and not too difficult. A good game to play and I hope there are sequels to this one. Rated 5 out of 5 by stephanie_press from Love the storyline and pacing of the game! Had an intriguing storyline and finally an interesting sidekick character. The main character is likeable and the storyline is familiar but with a nice twist to it. Music was okay, nothing to brag about. 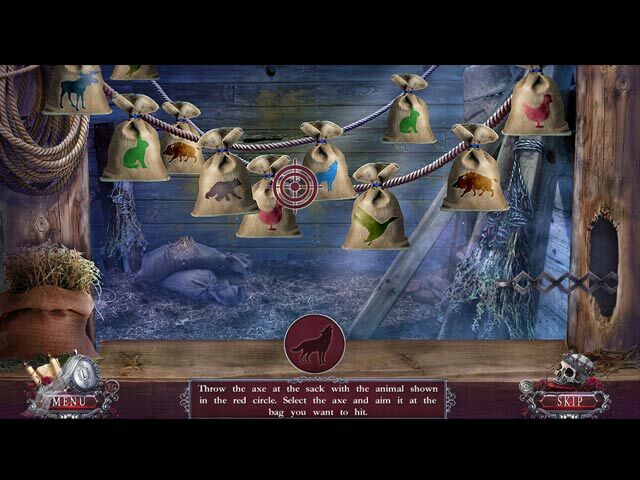 The atmosphere overall lent itself well to the game and the puzzles were entertaining without being annoying. Only drawback was the ending is wrapped up a bit too neat. Kind of wish I'd bought the CE, though. Rated 5 out of 5 by merry12 from I really love this game! I have played so many HOG's this one is packed with all sorts of different puzzles and you can change from easy to hard right on the puzzle! Also her "guard" is so handsome and funny! I really enjoy his humor. Rated 5 out of 5 by denniann2 from great HO game there is a custom level. there is a map but i didn't use it. the hint system was all i needed. some of the HO scenes were finding multiple items of the same thing ex. 2 shoes, 2 pipes. it is not too long but it is enjoyable. Rated 5 out of 5 by ipprocessdoc from A definite MUST I am pretty tough to please with a lot of these games, but I found one I really liked. I started with the demo and got about 10 minutes in before realizing that I had to buy it as I would not be happy just playing for a little bit. 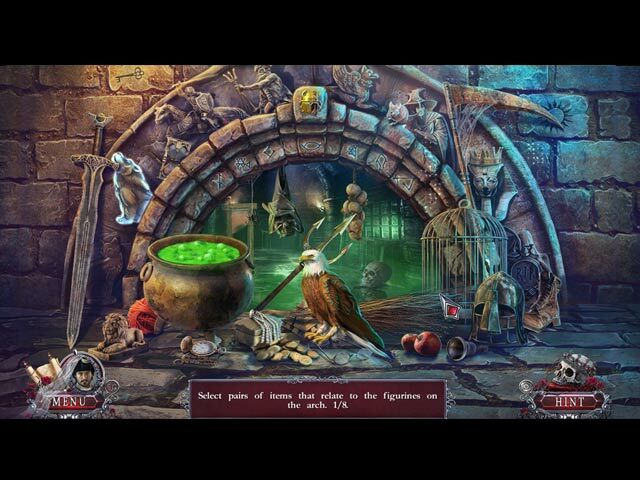 The storyline is pretty interesting with the player being Lady Jane, the Queen's right hand woman, who is charged with getting proof that the Queen is not a witch. Her "helper" Louis, a cutie with pretty blue eyes and not a cat, dog, or other animal like some of the other games assists her in obtaining the needed proof. There are only a couple of somewhat tough puzzles that I would love to be able to play again but most of them are pretty easy. The HOPs are not difficult but are not all the "seek and find" variety but a good mix of the silhouettes, matching, and seeking types. Regions that are no longer of interest are closed so you don't have to worry about going too far back to find the location of interest. This is one of the better games I've played in a while. Have fun! Rated 5 out of 5 by gcrazy from Great Mini games keeps you entertained. New characters appear to keep you moving along. Good interesting storyline. Rated 5 out of 5 by fiewi1 from Witch or not, here I come Oh well, so what if your employer's mother was really a witch or not? And what if that employer was, by chance, of royal blood? You, in an instance, become a savior and hero, while trying to stay alive and find unexpected allies that seem to be ghostly? Yes, a lot of good things happen in this game, and you will have your own support "team" to help you out. Rated 5 out of 5 by Plientje from great game! I just finished playing the CE version of this game, and loved it. Fantastic graphics, good storyline and nice ambient music and sounds. The story pulled me in right from the start and kept my interest going for the total of the game. The maingame ends in a very good, rounded up way. The bonusgame did not really add to the game and was fairly short. I only rated the CE 4 stars because of this. If you don't really care for the extra bling in the CE, the SE in my opinion is the better buy. I had a lot of fun with this Vendel game and hope you'll like it too! Enjoy.